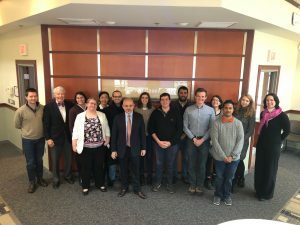 Murrow Center Public Diplomacy Workshop Series is a student-led initiative focused on studying the theory and practice of public diplomacy through lectures and skill development exercises. Students learn about the important role of public diplomacy from a wide range of perspectives, including government, business, press, and NGOs. 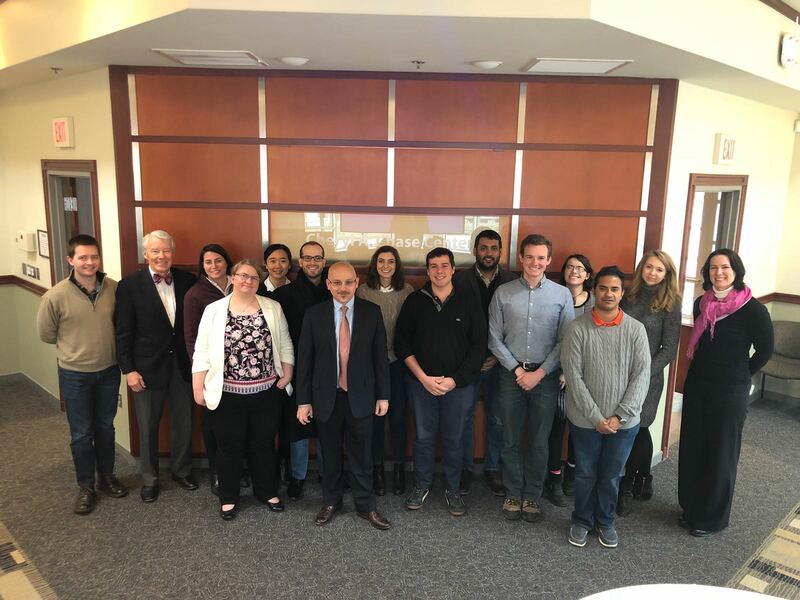 Jovan Kurbalija, a pioneer in the application of digital technology to Diplomacy and, particularly, to the training of diplomats (and others), conducts a workshop on e-diplomacy in the Fletcher student-organized Public Diplomacy Workshop Series. 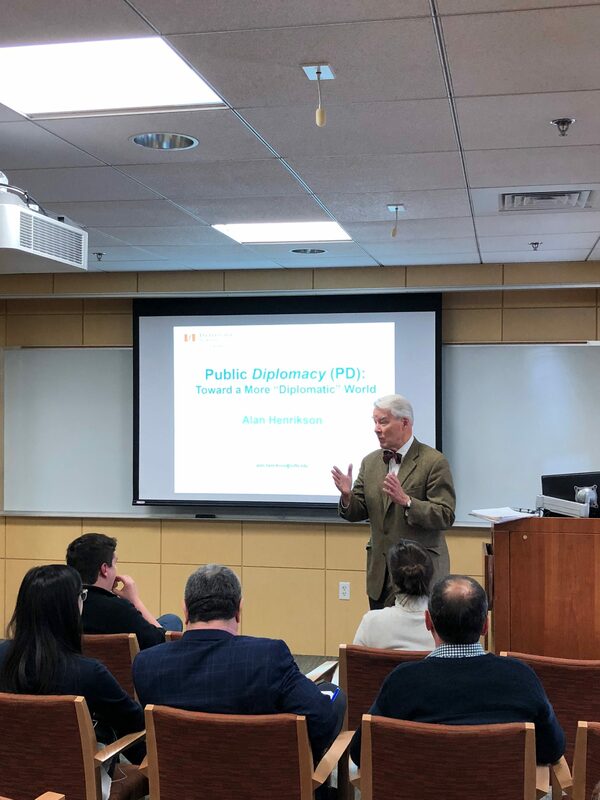 Professor Alan Henrikson provided a brief history of the practice of public diplomacy. His remarks shed light on important public diplomacy issues, including measuring effectiveness and comparing and contrasting aspects of propaganda and public diplomacy. Alan K. Henrikson is the Lee E. Dirks Professor of Diplomatic History Emeritus and founding Director of Diplomatic Studies at The Fletcher School of Law and Diplomacy, where he taught American diplomatic history, contemporary U.S.-European relations, global political geography, and the history, theory, and practice of diplomacy. 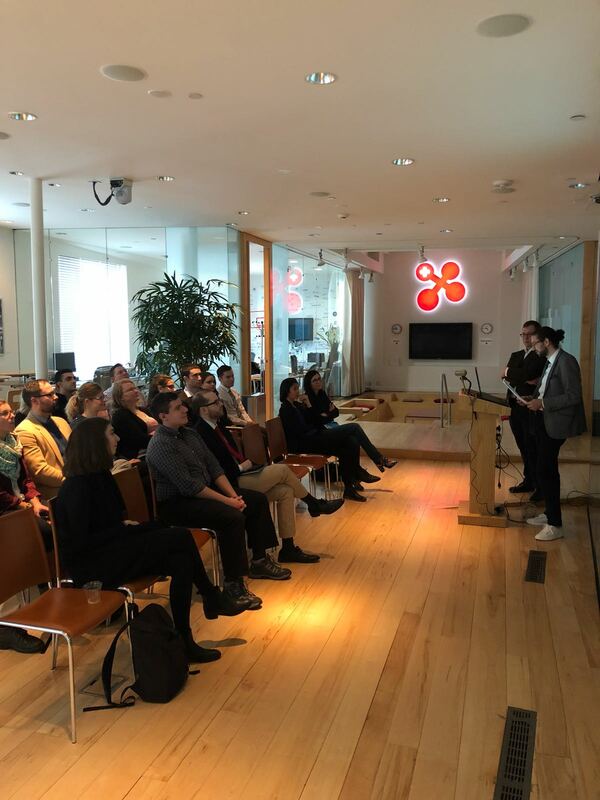 The members of the PD Workshop Series visited Swissnex Boston to discuss Swiss public diplomacy initiatives and the importance of building relationships between researchers, universities, artists, and business leaders to advance country interests. Swissnex Boston is a unique consulate with a mission solely focused on raising awareness of Switzerland and cultivating ties between Switzerland and the host country. 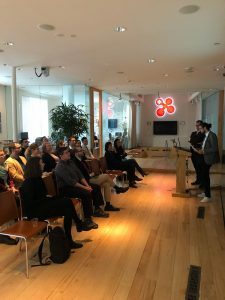 More information on Swissnex Boston can be found here .